TWO ARRESTED IN EBRO DURING TRAFFIC STOP :: RickeyStokesNews.com! WASHINGTON COUNTY: An area patrol of Ebro has ended in the arrest of two men on drug-related charges. Washington County Sheriff’s deputies stopped a vehicle at the intersection of U.S. 20 and S.R. 79 just before 9 p.m. Monday night. Two occupants of the vehicle were arrested after K9 Kash alerted to the presence of narcotics. 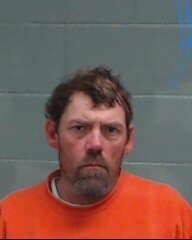 During a search, James Curt Cook, 47, of Defuniak Springs was found clutching a plastic bag of methamphetamine in his hand and taken into custody. 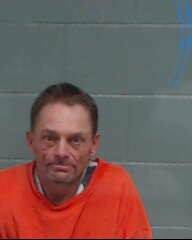 The front seat passenger Michael Scott King, 40, of Flowood Mississippi was taken into custody following a search of the vehicle when deputies discovered 3 glass pipes, which tested positive for methamphetamine, in the glove compartment. King is the registered owner of the vehicle.